The efficiency of hand drying is important in preventing pathogen spread, but knowledge surrounding which drying methods contribute least towards contamination of the environment and users has previously been limited. A study was recently conducted by expert medical microbiologist, Professor Mark Wilcox of the University of Leeds and Leeds Teaching Hospitals, and funded by ETS. It compared different hand drying methods and their potential to spread bacteria from hands into the air. The results of the study revealed that modern hand dryers designed to improve hygiene actually spread more germs than paper towels in public washrooms. The tests demonstrated that the airborne germ counts were nearly 30% higher around hand dryers compared with paper towel dispensers. Professor Wilcox said: “These driers are effective at drying hands, but at what cost? How were the tests conducted? The research team contaminated hands with harmless bacteria not normally found in public toilets. The test was conducted to simulate hands that been poorly washed. Subsequently, air samples around the driers and up to 6ft away were collected. Bacteria counts close to jet air driers were found to be 4.5 times higher than around warm air dryers and 27 times higher compared with using paper towels. Next to the dryers, bacteria persisted in the air well beyond the 15 second hand-drying time. 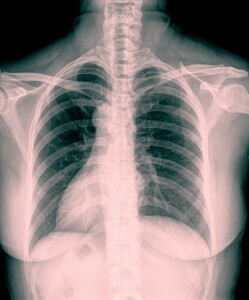 The bacteria were still detected in the air 15 minutes after hand drying, according to the research published in the Journal of Hospital Infection. 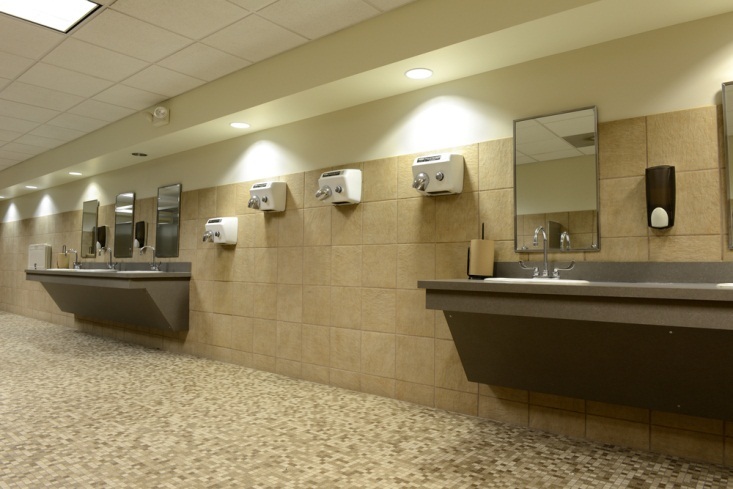 The spread of bacteria and germs in public places, particularly in washrooms is a priority for public health experts. Stories surrounding the spread of infection in the healthcare sector are continually in the newspapers across Europe. 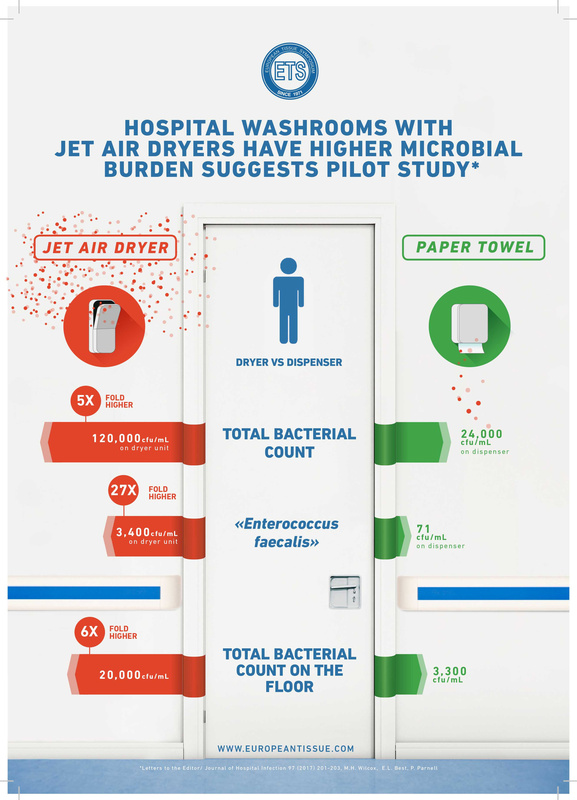 The extent to which jet-air and warm-air driers dispel microbes in the washroom environment raises serious questions concerning policy guidance to avoid the spread of infection in hospitals and other public environments. The study findings clearly demonstrate that hand drying with single-use towels has the least risk of airborne microbial contamination. Poor air quality affects both the health of the personnel and their performance. Bacteria, dust, viruses and harmful particles in the air may cause itchy eyes, headaches and a blocked nose. Furthermore, it can also give rise to asthma and irritation of the respiratory tract. CamCleaner is a range of patented air cleaners with the most-efficient HEPA filters on the market. They are designed to work as a supplement to existing ventilation system and deliver reduced energy costs, more-efficient production and a healthier work environment with less dust and fewer harmful particles. Washroom air cleaner products include the concealed CamCleaner unit. For more information, click here.